Lipids are small biological molecules which are soluble in organic solvents, such as chloroform/methanol, and are sparingly soluble in aqueous solutions. The simple classification of lipids belies the complexity of possible lipid structures as over 1000 different lipids are found in eukaryotic cells. This complexity has led to the development of a comprehensive classification system for lipids. In this system, lipids are given a very detailed as well as all-encompassing definition: "hydrophobic or amphipathic small molecules that may originate entirely or in part by carbanion-based condensations of thioesters (fatty acyl, glycerolipids, glycerophospholipids, sphingolipds, saccharolipds and polyketides) and/or by carbocation-based condensations of isoprene units (prenol lipids and sterol lipids)." 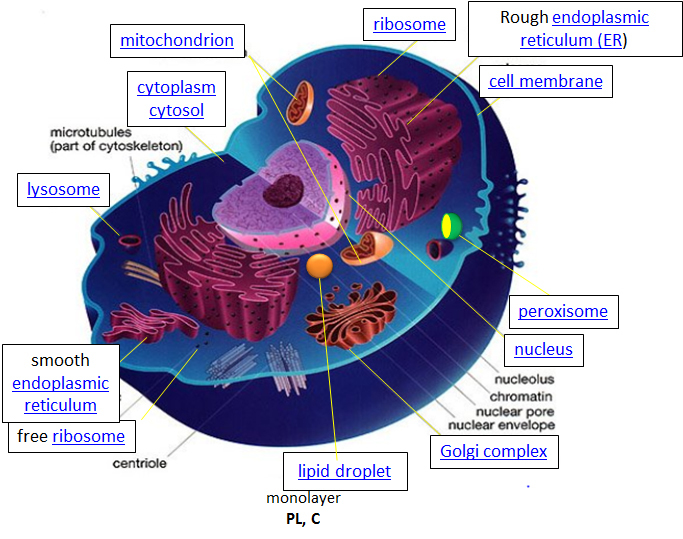 The following site will show you the "life" history of lipids in cells.